Luxury wearables? That's what Vertu is for! You are here: GeekSays Technology News » Android » Luxury wearables? That’s what Vertu is for! Luxury wearables? That’s what Vertu is for! We’ve seen a couple of Android Wear smartwatches until now and most of them are the perfect compromise between a really nice design, quality materials and an almost decent price. After all, they come from top brands, like Samsung, Motorola or LG, brand who are aiming to make their products available for everybody. But what happens when another category of tech fans, with very deep pockets, is fancying the idea of having something more exclusive? In most cases, they get their items personalized in such way to show their wealth, but there’s another method too, something way more exclusive. And that method is called Vertu. After launching their first Android phone, Signature Touch, the company is looking forward into investing in the wearables segment too. 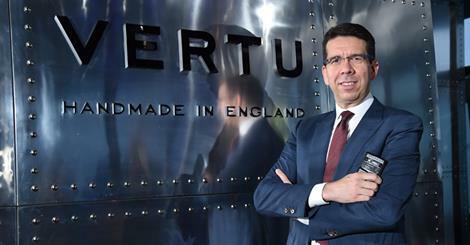 According to the company’s CEO, Max Pogliani, in an interview for Engadget, Vertu is currently studying the possibilities of expanding their business to a new domain, one that’s interesting for both IT media and gadget fans. Since their latest smartphone is running Google’s mobile OS, an eventual Vertu smartwatch will most likely be based on Android Wear. Of course, we’re expecting some ridiculously high prices, but hey, it’s an exclusive brand after all and we could see something similar to a Rolex, with a few extra diamonds and stuff with an Android Wear flavor. So, anyone up to a wild guess regarding the price? Vertu sells it basic watches at $20,000.. I dread to think what a vertu smarthwatch will cost!